Yesterday I went for my 3 month post HSCT check up with my local neurologist, Dr. Kosa, to discuss my MRI that I had 2 days earlier. 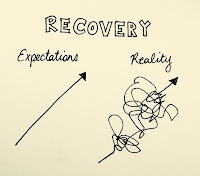 The last few weeks have been a little troublesome for me as some of my old symptoms have crept back in and sometimes even appear to be a bit worse (see post Day +100). 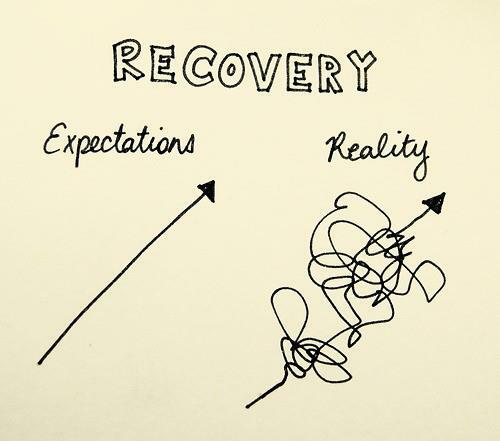 For the most part, I have kept a positive attitude as I've been told from the beginning that recovery would be a roller-coaster. I had been telling myself that my MRI would look good, but had twinges of doubt since I've been experiencing some of those old issues again. I tell you - it was such a relief when Dr. Kosa said that my MRI looked stable and that I had NO ACTIVE lesions. This was the first doctor/hospital visit in the year & a half since my diagnosis that came back with the word STABLE! What an awesome feeling. As for the issues that I'm still seeing, they may always be there, but as long as we've stopped the progression, I can handle it! We've always been told you will not see the full benefit of HSCT for two years. It's only been three months and time will tell the full story. 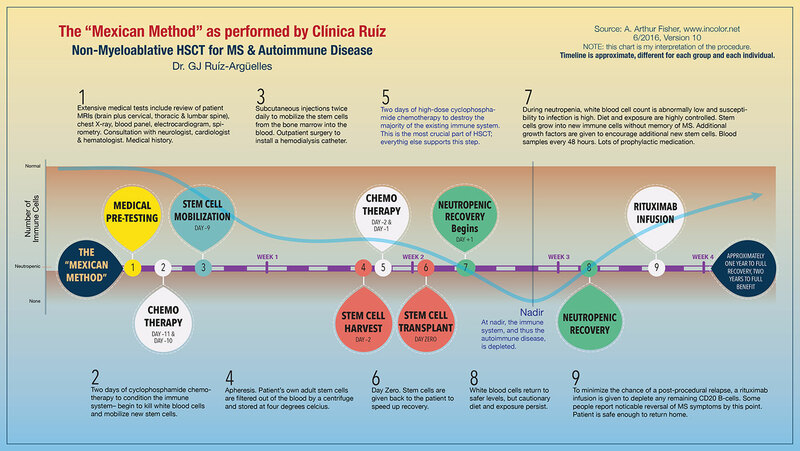 Someone else posted the following image in the Facebook HSCT group, but I'm going to add it here and also in my Clinica Ruiz HSCT page. I think it paints a good picture of the timeline and is very helpful. Let me know what you all think.